This week I will feature a great variety of comics and graphic novels that contain little to no words. This book keeps coming up in my journey to be the most well-versed comics teacher in the universe! It was the primary subject of my M.A. thesis. It was working with this book that landed my class on the cover of the Chicago Tribune. And it was the book that ultimately landed me and @misterwhitaker as guest Keynote speakers at this past weekend’s NCTE conference with author and illustrator Gareth Hinds. Ronell and I have used Gareth’s books for so long now that he asked us to be his guests at the Keynote and speak to the usefulness of the books in the classroom. It was an amazing experience, and we thank him and NCTE for the opportunity. One of the best classical graphic novel adaptations ever, Gareth Hinds take the epic poem and translates the words to images that tell the exact story. Gareth’s images work as modern day hieroglyphics, transcending language barriers cultural differences. 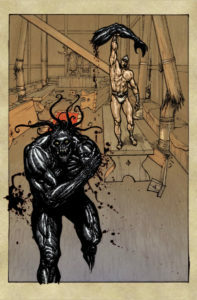 This Beowulf is a must in any school library and classroom. I actually reviewed the book in 2014. My review can be found here. And while I stick to everything I said about the graphic novel in that original post and my thesis, every time I teach it, my students find new doors to open, and even if they discover the doors that students have opened in the past, it’s just as exciting to see them exploring the text for the first time. 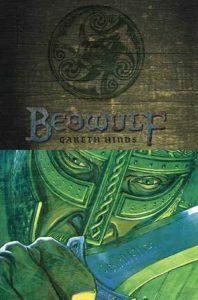 Images can be worth more than words, and I have had enough classes read this graphic novel to confidently say, Gareth Hinds’ Beowulf has been the most discussed and analyzed book I have ever taught. And yes, that includes all of the classics that I’ve taught; although, some Shakespeare has come close…I’m looking at you, Hamlet! I do love me some Hamlet. Read my old review. If you have not read this version of the epic, go get it. Experience it for yourself. Gareth is a master of the image, and I feel that this work is his best! 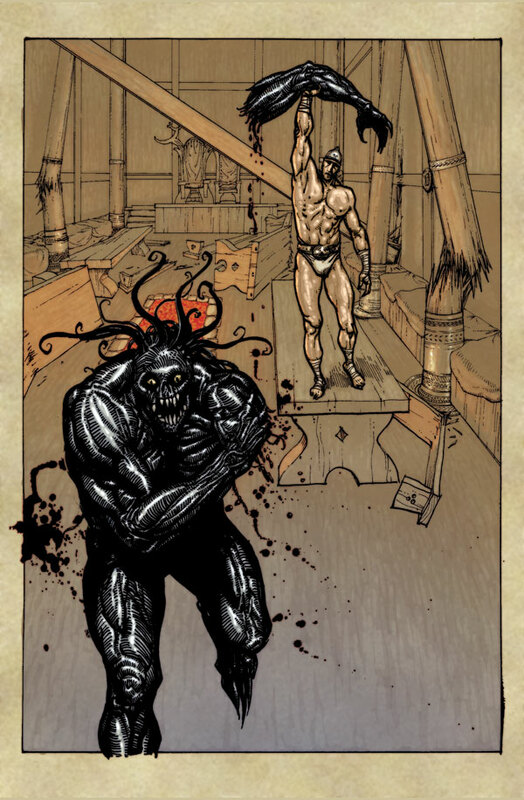 The above image of Beowulf hoisting Grendel’s arm is what I imagine Gareth like after finishing this book…tell me if I’m wrong, Gareth.